I have a nice size collection of concerts poster at about 30. I have a few from about 10-15 years ago, but most of them are from the last 3-4 years. I only have so much wall space though, so I have a portfolio binder starting to fill up as well. Well, obviously I have my favorites hanging up. 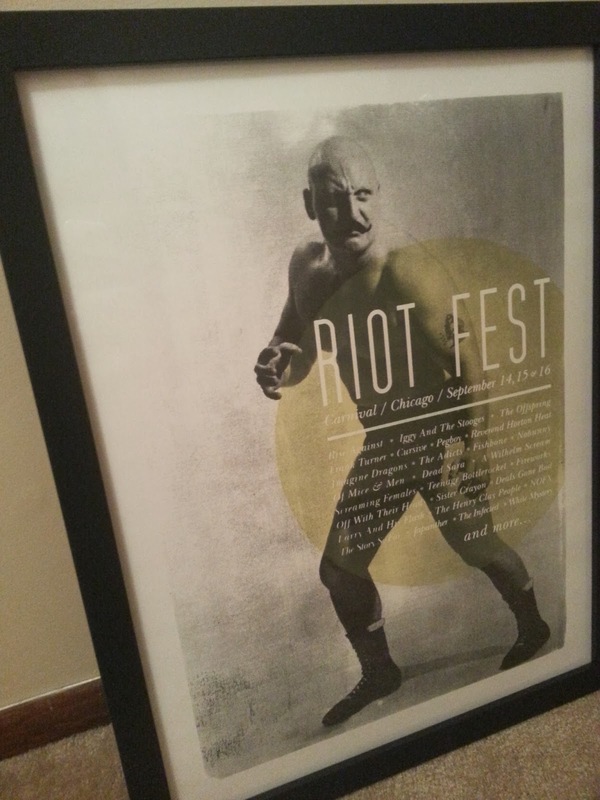 This poster that I got from Riot Fest 2012 is still up on the wall and has outlasted a bunch of others because I absolutely love it. The festival was pretty cool as well. If you've never been to Riot Fest, its worth it to go for just the side attractions. It has a big top theme, complete with flame breathers, bearded ladies and a professional wrestling ring. 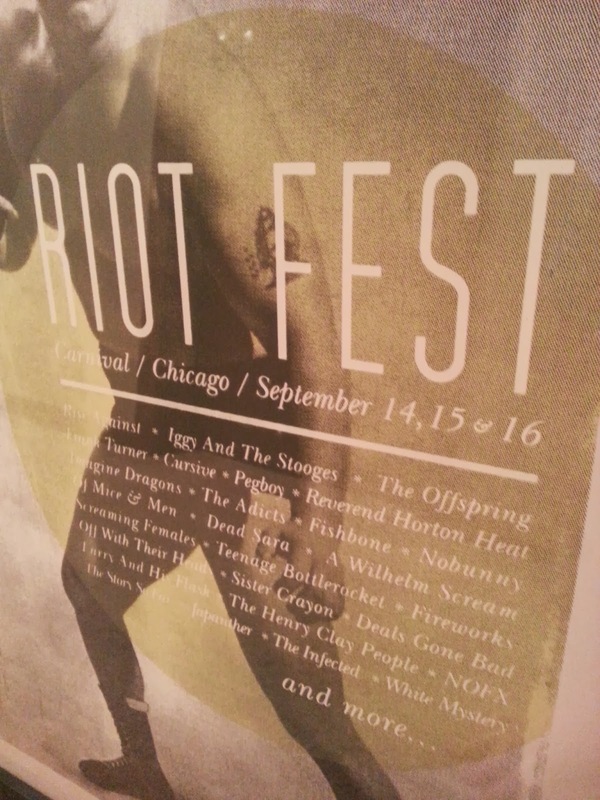 This was my first time going to Riot Fest, so it was a sweet experience. I really wanted to see Alkaline Trio play and that is one of the main reasons I went. Also playing were Iggy and the Stooges, NOFX, The Offspring and Elvis Costello. I love the color combo of this poster of the yellow and grey. My main man, old school wrestling dude is the star of this poster. He reminds me of one of the dudes that ride the big front wheel old school bikes. The guys that go, "Ahdee-oop!" and jump on the bike. I love this poster and it probably will never leave its wall spot.